OCTOBER 4, 2018, CAMBRIDGE – In the month since the start of the school year, new Harvard University president Lawrence S. Bacow and his wife, Adele Fleet Bacow, have already dropped in on a Shabbat dinner at Harvard Hillel; donated bouquets of flowers for the High Holidays; and joined students during religious services on Yom Kippur. It’s an auspicious start for Corey Gold, the student president of Harvard Hillel, who said that Harvard’s Hillel Jewish student community is excited about Bacow’s arrival. “Holding one of the Torahs during Kol Nidre with our traditional egalitarian minyan, President Bacow has demonstrated that he is enthusiastic about being involved with Jewish life on campus and forging connections with students. 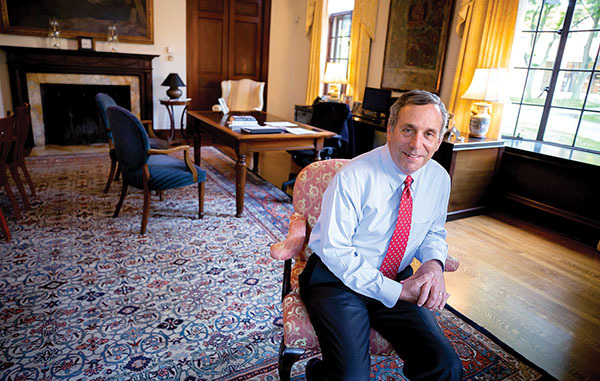 We hope President Bacow soon becomes a familiar face around Hillel,” Gold wrote in an email. Bacow, who was appointed as Harvard’s 29th president last February and began the job on July 1, will be formally inaugurated as the influential Ivy-League college’s president on Friday, Oct. 5. The 67-year-old Newton resident replaced Drew Gilpin Faust, the college’s first woman president, who stepped down in June after serving 11 years. He is the school’s third Jewish president, preceded by Neil Rudenstine (1991-2001) and Lawrence Summers (2001-2006). All three are scheduled to participate in the inaugural ceremonies. Massachusetts Governor Charlie Baker will deliver a greeting. Bacow, an economist and specialist in environmental policy and negotiations, is an alum of Massachusetts Institute of Technology, where he taught and served in upper leadership for nearly a quarter of a century. He is a graduate of Harvard Law School and also earned his doctorate there in public policy. Bacow, a warm and engaging conversationalist, is enthusiastic about his new role at Harvard and his chance to tackle the challenges facing higher education more broadly, including issues of accessibility and affordability. “I really see this in many respects as a call to public service, and not just a chance to lead Harvard,” Bacow said in a conversation last month at his Loeb House office. He’s specially concerned with what he sees as a notable decline in public support for higher education. “Like so many others, I have been able to enjoy this extraordinary life in large part because of the transformative power of education, and specifically higher education.  I want to make sure that the opportunity is available to future generations,” he said. He credits his sense of civic duty to his parents, both of whom are deceased. His mother, Ruth, was a Holocaust survivor; his father, Mitchell, was a refugee from Eastern Europe. Both his parents instilled in him and his sister a sense of tremendous gratitude and responsibility to others, he said. Growing up in Pontiac, Michigan, Bacow recalled that his family life centered around the synagogue, from attending religious services and Hebrew school to youth leadership. When the Bacow’s settle into their new Harvard residence, it will have a mezuzah on the door and a kosher kitchen, he noted. The program for the inauguration ceremony in Harvard Yard reflects the Bacows’ strong Jewish identity, from some of its choral music selections to a benediction by Rabbi Wes Gardenswartz of Newton’s Temple Emanuel, a Conservative congregation where the Bacows are members and regulars at the Shabbat minyan. The couple are warm, sincere, kind, and down-to-earth, Rabbi Gardenswartz told the Journal. Bacow’s values reflect a deep sense of humility and shared responsibility, he said. Bacow and his wife, Adele “will inspire a generation of students to make the world a better place,” he predicted. Those values will soar in the choral music chosen for the inauguration, according to Andrew Clark, Harvard’s director of choral activities who has known the Bacows for some 15 years. In the opening chorale presentation of “America the Beautiful,” a young boy soprano from Cambridge will join the college student chorus to sing a solo, an unusual gesture that reflects Bacow’s longtime commitment to engaging the university with the broader community, Clark observed. Bacow suggested an aspirational Biblical verse from Micah as a source for the chorale interlude, “What is Good,” that has been set to music by Carson Cooman, resident composer at Harvard’s Memorial Church. The inauguration will close with a chorale benediction of “Hineh mah tov” from Leonard Bernstein’s “Chichester Psalms,” sung in Hebrew. Bernstein was an alumnus of Harvard. Bacow served on the board of Hebrew College, which in 2004, awarded him an honorary degree. He plans to attend the Oct. 15 ceremony when Rabbi Sharon Cohen Anisfeld is installed as the college’s first woman president, he said. In his decade at Tufts, Bacow was deeply engaged in student life. He was a regular at Tufts Hillel and at events at the nearby Rohr Chabad House, where he and Adele Fleet Bacow joined students for Shabbat dinner and at the lighting of the center’s Hanukkah menorah, according to Rabbi Tzvi Backman, who runs the center with his wife, Chani. Backman credited them with creating a sense of family among Tufts students. Some material here was originally included in an article by this writer for JTA.org.